I was privileged to be invited to fish the Bishopstoke Club water at Twyford last weekend, by Richard Bernays. I caught a couple of fine browns…but this was secondary to be able to fish this most beautiful of beats. 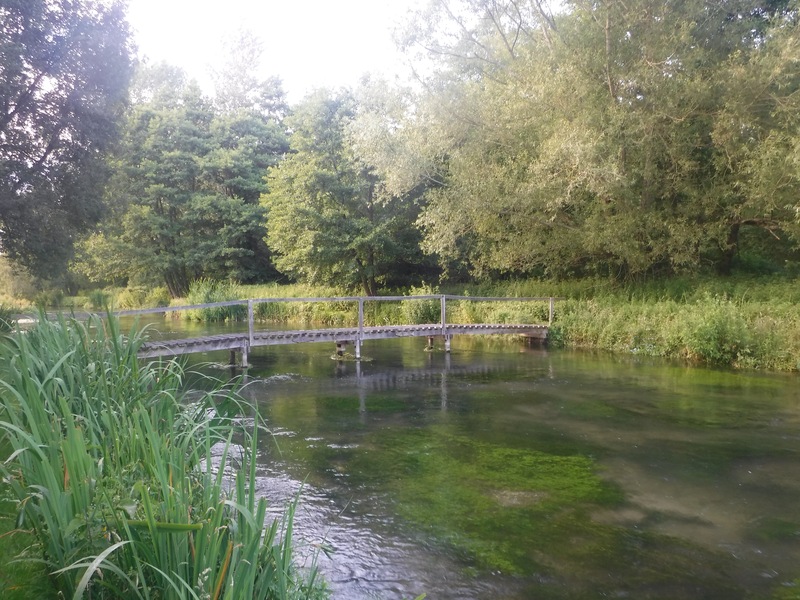 My view…the Itchen is our premier chalk stream. But were they wild or stocked. Mine host advised that stocking is occasional. Some clubs mark their stocked fish, as you will know. SD&AC put a blue dye mark on the underbelly; and the MTAA on the gill cover. My two were ‘naked’, so who knows? My bet…they were stocked fish!